PROPERTY OVERVIEW >> $1553pw -- Price incl. Ultra modern A grade office space for rent in Brisbane Technology Park, the largest and most prestigious business park in Queensland. This turnkey office space presents an outstanding working environment for SMBs with CAT 6 network cabling, a high end fit-out and immediate availability on flexible terms. The furnished office has an open plan desk layout for 10-15 people, a lockable manager’s office, reception area, meeting room, collaboration areas and kitchen, all beautifully appointed and maintained to a faultless standard. Offering more than 170 sqm in top quality office accommodation, this private workspace is ideal for a company of up to 15 people, or a smaller one that needs room to grow. With everything set up, furnished and covered in the advertised rate, a new tenant can move in with minimal disruption to work and easy monthly billing. If you are a small/medium sized company seeking an office space in a prestigious location, Brisbane Technology Park is an incomparable choice. 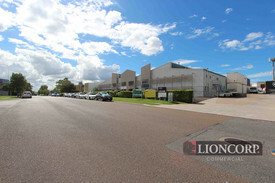 This premier office complex is part of the sought-after Brisbane Technology Park at Eight Mile Plains. Spread over 33 hectares, the Park was originally a Government initiative to foster the growth of knowledge-based industries and is now home to more than 200 companies that employ in excess of 10,000 people. The first choice of location for businesses of all sizes and industries, Brisbane Technology Park features 45 high grade office buildings, BTP Conference Centre, Quest Hotel and a variety of casual eateries and business support services. 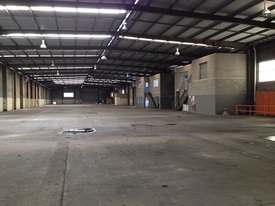 Within this 5.5 NABERS Rated building are end of trip facilities, bicycle storage, disabled access and onsite management while paid car parking options are available in close vicinity. This office space is only a short drive to Westfield Garden City and 15 minutes’ drive to Brisbane CBD, offering excellent convenience and one of the best corporate addresses in Queensland.